Is a null always caused by sound waves bouncing back from the back wall and cancelling out those coming from the front? So theoretically, if I had no back wall ... There'd no null? Yes, cancellation can happen between the front and back wall, but it also happens on other axes. For instance, side wall to side wall, and floor to roof. In practice one ends up with comb filtering all across the audio spectrum due to the destructive interference of reflections with the direct sound and reflections with each other. The largest null in the bass might be caused between the cancellation occurring between two specific axes in the room, like the front to back, as you mentioned. One can predict by measuring the distance from the radiating point to various reflective surfaces where the largest nulls are likely to be. Corner bass traps will reduce the null. The way to go about treating a room is quite standard - bass traps and broad band absorption at first reflection points. If one wants to go further than that you can add more absorption and diffusers at appropriate points to get the decay time equal across the audio spectrum. The down side; bass traps have to be large to absorb low frequencies. I understand that tuned traps can reduce the size, but I wouldn't use a tuned trap if not also using broadband bass traps. Plate, vakuum buis versterkers en breëband oorvormers. To answer the second part of your question; if you had no back wall you would eliminate one reflective surface, so less reflections will exist in the room, which will reduce the amount of cancellation, but the reflections from all other surfaces will still be present and they will still cause nulls. The frequencies at which those nulls occur will depend on the dimensions of the room. Having no back wall, and assuming infinite space beyond where the wall would have been, would be analogous to having an absorber with a 100% absorption coefficient across all frequencies on that plane, because no sound will reflect back from that plane. If some of this is confusing the following article can offer clarity; http://ethanwiner.com/acoustics.html. What would a subwoofer do in an open field? If not even a floor reflective surface is present it would theoretically radiate sound equally in all directions. I suspect that the dispersion pattern might still differ a little between the side that has the driver on and the other sides, especially the one of the opposite side of the cabinet, but lower frequencies are a lot more omni-directional than high frequencies so you will end up with something that pretty much radiates sound equally in all directions. As the frequencies increase directionality, in fewer axes, will increase too. Manufacturers use anechoic chambers to simulate open field environments. As soon as you place the sub on the floor, i.e. a reflective surface, there will be a gain in bass. Then place the sub in the corner of two planes and there will be an additional gain in bass. 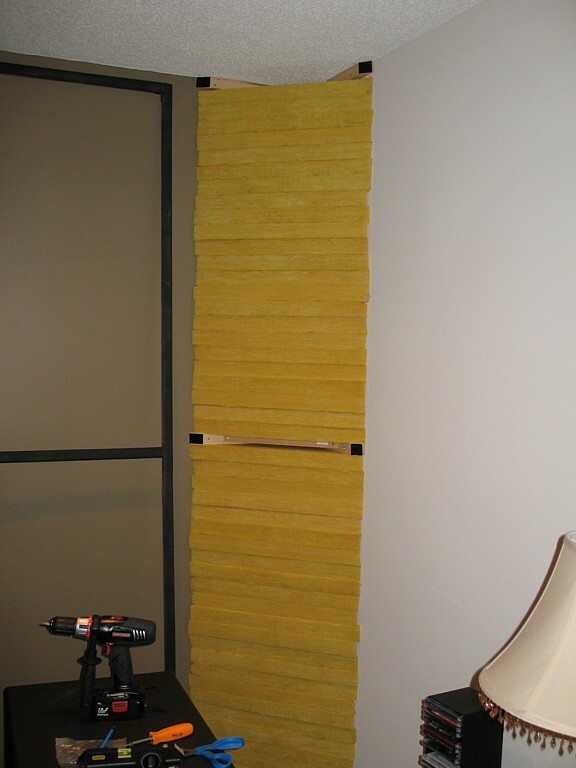 Then place the sub in a three planed corner, like the corner of a room, there will be yet another gain in bass. If I understand correctly this gain will not necessarily be equal at all frequencies that the sub is playing, but will be dependent on the dimensions between the source and reflective surface, which quickly turns into a complex equation the more reflective surfaces are present. The gain in bass that occurs when as each additional reflective surface is introduces is roughly 3 dB if I recall correctly - I don't have a reference book on hand and am not sure of my memory at the moment. The reason why there is an increase in SPL when a reflective surface is added to the sub woofer is because the sound that would have disappeared into the infinite space of the "open field" in that direction is now no longer able to travel infinitely far away from the sub anymore, but instead is reflected and added to the rest of the signal travelling in the directions that remain. Some caveats apply, like cancellation occurring dependent on distance between sound source and reflective points and how reflective at the applicable frequencies the surface is, but this is the general idea. Then as you add more planes and eventually result in a room you end up with constructive and destructive interference occurring at different frequencies, again dependent on the dimensions of the room. A parody could be made of the amount of time I spend looking at frequency response charts of loudspeakers, nit picking 2dB SPL or 3 dB SPL differences between drivers when listening rooms can easily cause 30dB SPL nulls at many places in the audio spectrum. There is some debate about the audibility of these severe nulls though, but it isn't exaggeration to state that the room has the most drastic influence on ones sound in the frequency domain - transducers fighting for first place I'd say. But it must be said audio isn't a phenomena that occurs on the axis of frequency response only. An untreated room also adds "reverb" (perhaps not the right term as the lengths can be short), but the longer the reflections are present in the room the more the time domain of the audio gets "distorted". The two polar opposites on the spectrum are a room in which all surfaces are parallel and 100% reflective and then a room in which all surfaces are 100% absorptive. The average listening room is somewhere in between. Neither extreme is desirable, but it is easier for rooms to lean closer to the former than it is to the later. That said, it is difficult to put too much absorption in a small room. I have read some folks saying that say they don't like a lot of acoustic treatment, so subjective preference can apply here too. Personally an ideal room for me would have a decay time across all frequencies below 0.4s and would address frequency response issues, such as bass nulls, to the extent to which they can. Notice that the higher the frequency the more directional waves become. Each circular chart illustrates the direction of travel, from source, of a different frequency. I've just bought a second, identical subwoofer thinking the spread would sort the issue and ... zero bass in my seat. Rumbles everywhere else in the room. You're welcome. The thanks should largely go to Ethan Winer and the Master Handbook of Acoustics by F. Alton Everest. If you are able to play with placement you might be able to get them into positions where the don't cancel exactly in your seat, but they could end up in funny places in the room at which point time alignment between drivers will be affected. There is a method by which one places the sub woofer in the listening seat, play music and then walk around the room to find places were you are happy with the bass then place the subwoofer in those places. Doing this, I read, might move the bass null to a different position than your chair. I haven't done this myself. Beware of commercial sponge and foam corner "bass traps" that are only about 30cm deep. They often aren't able to absorb low frequencies. If you are going to buy a commercial product ask if they can supply you with the absorption coefficient of the product at bass frequencies. Ideally you want rigid fiberglass. Or a panel in the corner. You need to move the listening chair out of the null , also try subs in corners if possible and switch the phase of one of them. Try sitting closer to the back wall , will increase the bass. Have you actually measured the bass response at seated position to find out where the nulls and peaks are freq wise? I haven't looked into these. Better than flat or chunk traps sounds promising. Thanks Rodney, a great & informative read.